Boots has always been my go-to place for majority of my beauty needs and I think it is the same for many people who live in the UK. There has always been a massive Boots store either close to my house and/or close to work so I always pop in there. 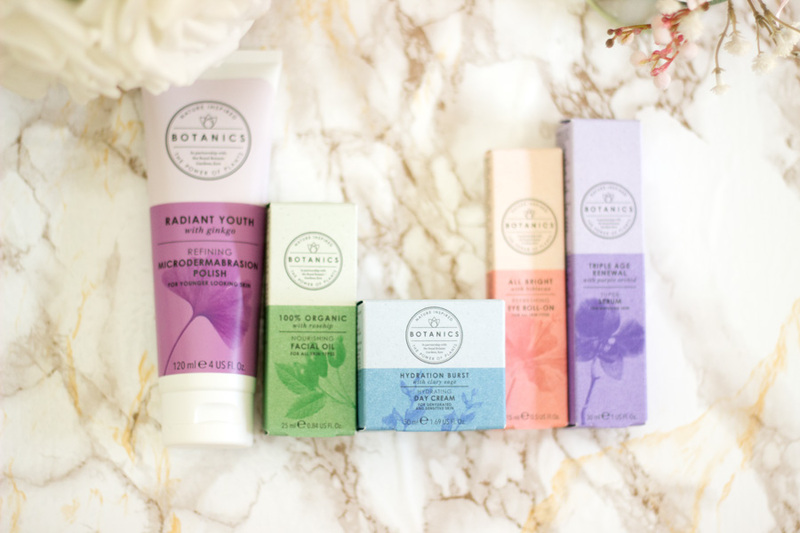 Their Botanics range has been around for quite a while and I have enjoyed using them in the past. I was so delighted when I found out they were revamping their entire range while maintaining the high quality. I was unable to make the launch event but they very kindly sent me a collection of products to try out. It's been well over a month so I wanted to share my thoughts on this amazing yet affordable range. 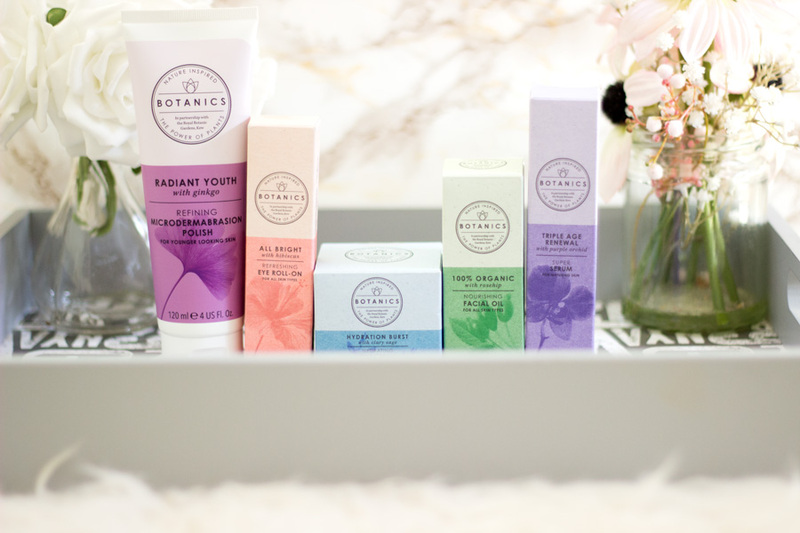 Botanics is a skincare range that has been developed by the plant experts at the Royal Botanic Gardens Kew (which is such a gorgeous place, if I might add). 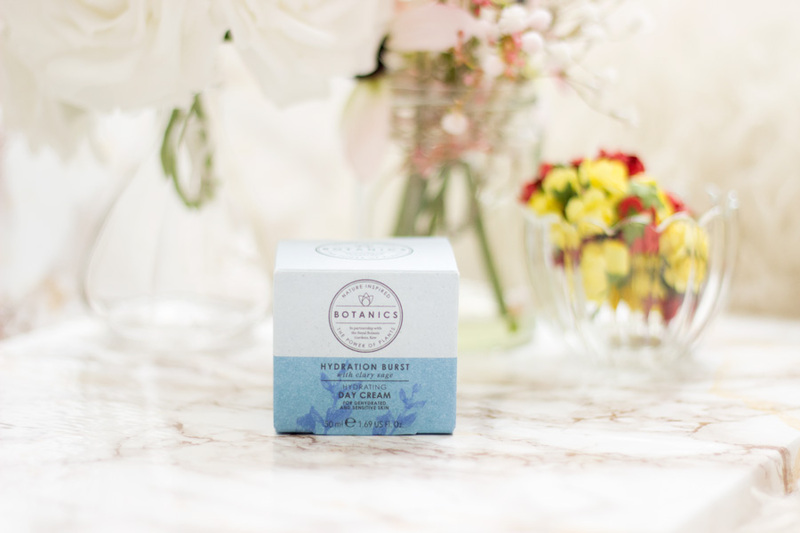 The brand was originally launched in 1995 and by 2000, they established a working relationship with the Royal Botanic Gardens Kew. 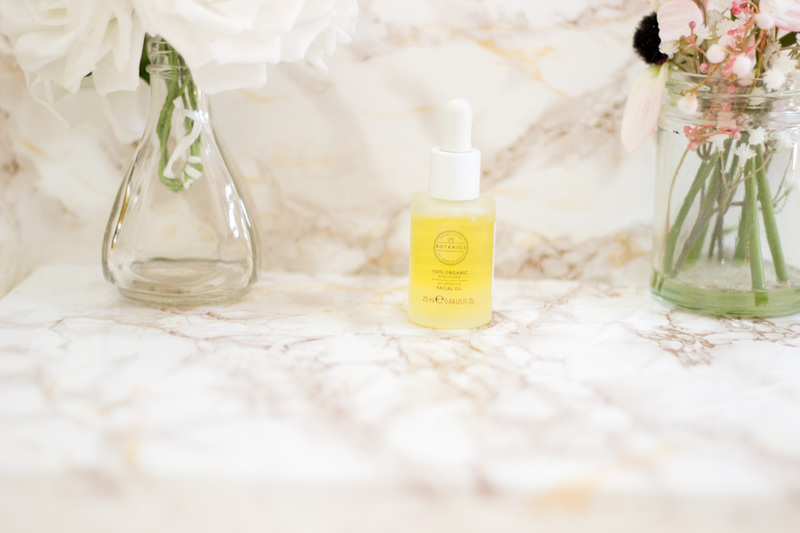 These experts have created skincare that is plant based, natural, effective and affordable. I have used the range for quite a few years and I have seen tangible results that has made me repurchase more than a few times. The great thing is that Botanics has a wide collection of products and I love how they are colour coded to help guide you. 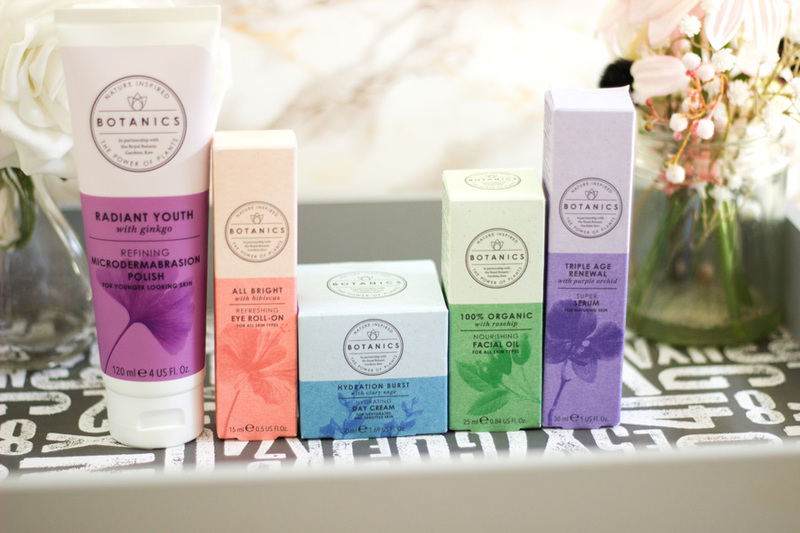 There are actually five ranges within the line and they include: Organic (Green packaging), All Bright (Pink packaging), Hydration Burst (Blue packaging), Radiant Youth (Purple packaging) and Triple Age Renew (Lavender packaging). No matter what your skin type or preference is, there is a very high chance you'd find something for yourself. For reference, I have combination oily skin which tends to be slightly dehydrated during the drier months. 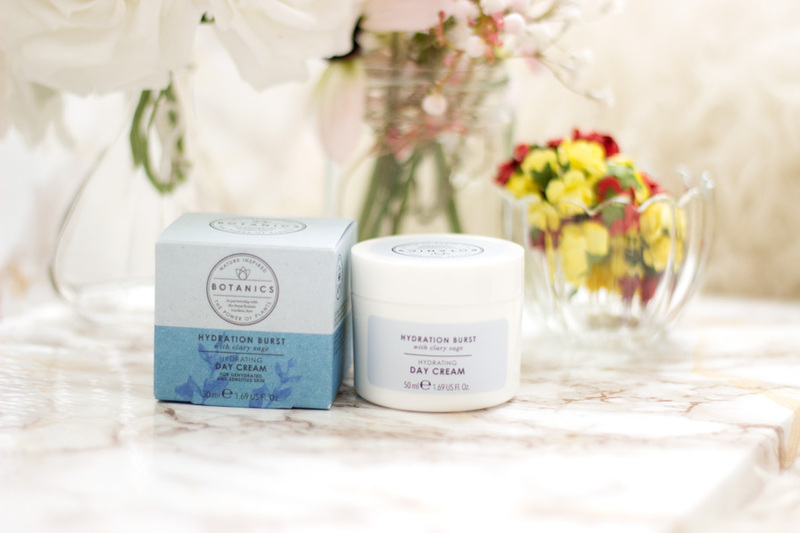 If you want to find out more about the Botanics range, you can do so here. The Botanics team were so kind to send me a generous amount of products from their different collections. I was sent their best-sellers which include the Hydration Burst Hydrating Day Cream*, Organic Facial Oil (100% Organic)*, Triple Age Renew Facial Super Serum*, Radiant Youth Refining Microdermabrasion Polish* and the All Bright Eye Roll-On*. As mentioned earlier, I had tried at least half of these products before their packaging was revamped so I was curious to try them out to see if there were any changes. Whoever designed or revamped the new Botanics skincare packaging deserves a standing ovation!! I absolutely love the minimalistic design and the various colour schemes they have chosen. 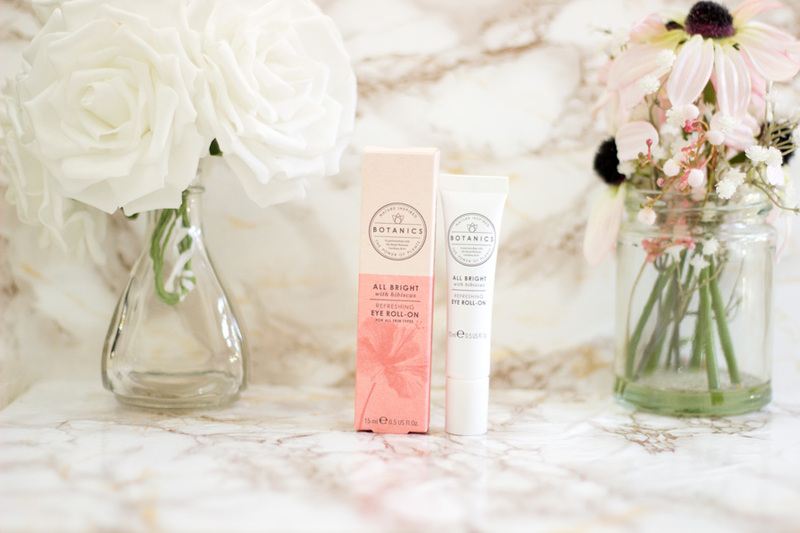 Truly less is always more and these products looks so beautiful in my bathroom and dresser. I find that amazing packaging always makes me reach more for a product and the quality of the products keep me loyal. I love that they used glass bottles (which are travel friendly) and these bottles also have pipettes. Anything with a pipette always wins my heart. The vibrant colours used across the various collections in the range just makes them look aesthetically pleasing. I have lost count of how many times I repurchased this Eye Roll On and I believe I may have reviewed it at some point on this blog. It is from the All Bright range which is infused with Hibiscus Extract and known for brightening and perking up the skin. It has a lovely roller ball which feels very cooling and refreshing when I use it under my eye. It helps wake my eye up and removes any puffiness caused by lack of sleep. If you pop it in the fridge, the effectiveness shoots through the roof and I absolutely love it. 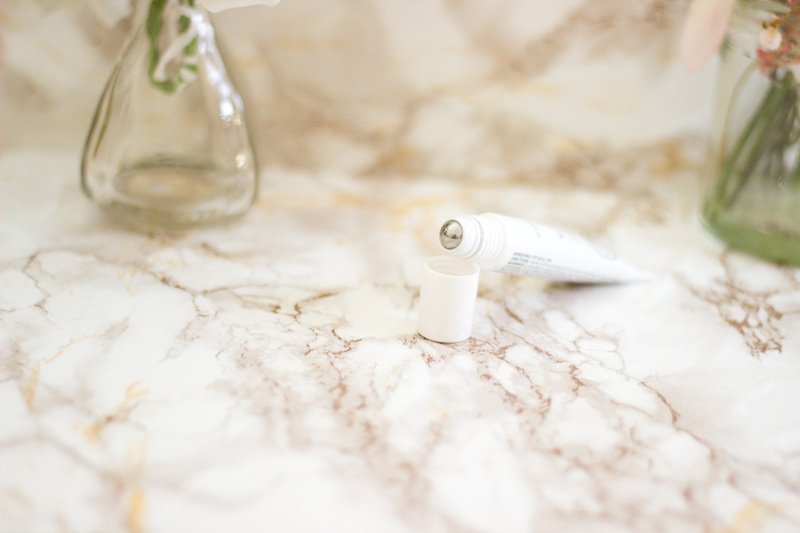 I always use it even when I have other eye creams because I feel it has a special place in my skincare stash. I don't think it comes any more organic than this especially from a product that's developed in Royal Botanic Gardens Kew. It is their best-selling facial oil and I totally understand why. It is infused with Rosehip Oil which has various skin benefits including restoring the skin and helping with hyperpigmentation. It comes in a lovely glass bottle complete with a pipette which I love as it is easy to use. It has a medium texture in the sense that it is not too heavy or too light. 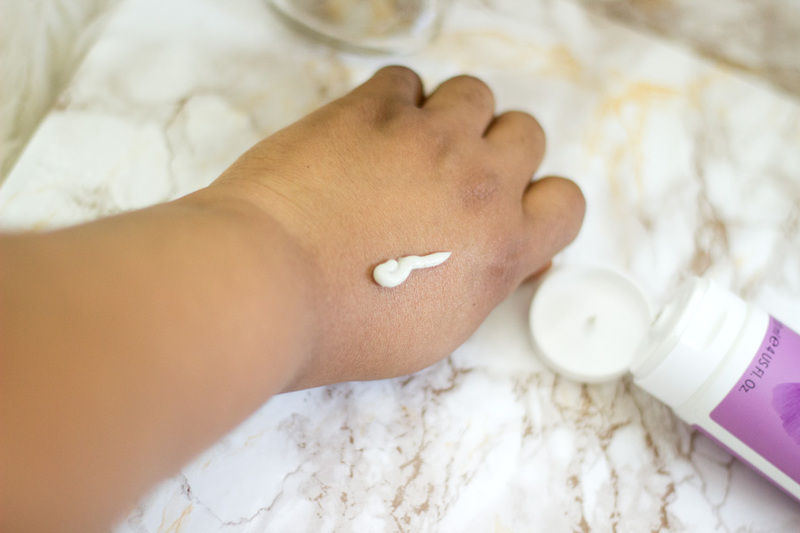 I do tend to use it more at night because I can still feel it on my skin which I think is good for nights but may interfere with my makeup during the day. 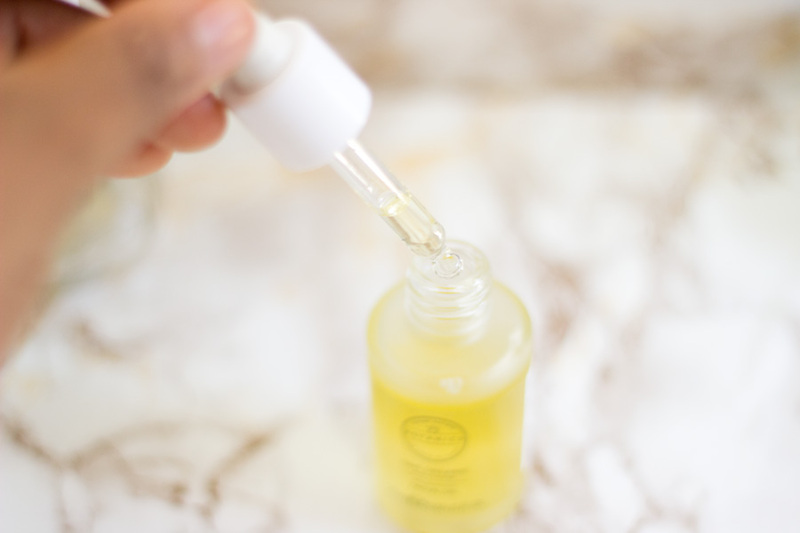 My skin feels very really radiant and I think it is a good oil to start with if you are considering adding a facial oil to your routine. This is a completely new product to me and I can't remember how it looked in its previous packaging. 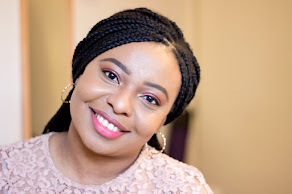 It is definitely one of my favourite products from the entire range or at least from all the products I have tried. The Hydrating Day cream is from their Hydration Burst range which is all about hydration. 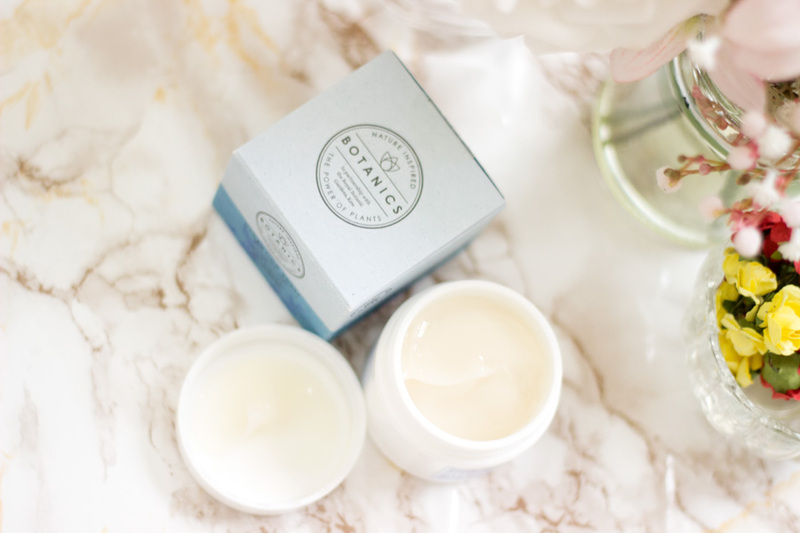 Botanics describe the Hydrating Day Cream as one that leaves the skin hydrated and luminous. One of the star ingredients is Clary Sage which is rich in nutrients and helps moisturise dehydrated skin for a long time. I love the simple yet classy packaging which contains 50ml of product. The texture is what made me fall in love with it because it feels silky. 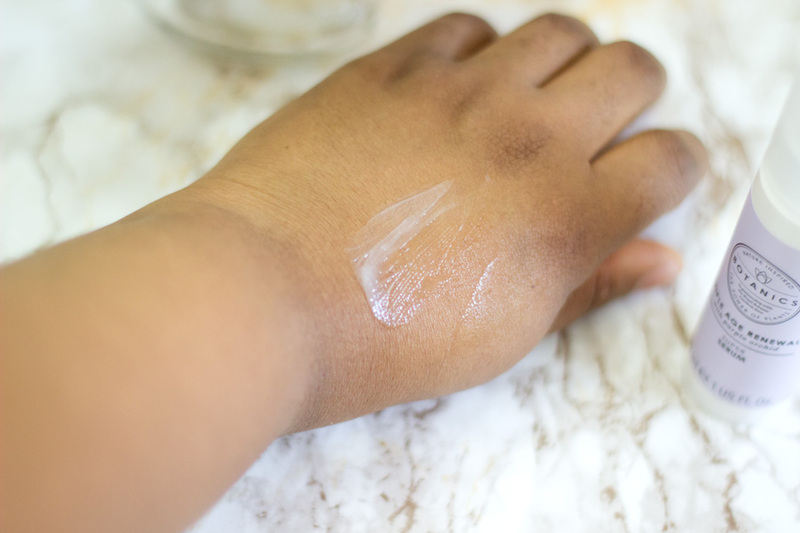 It feels like a gel cream (similar to the Neutrogena Hydra Gel texture). It gets absorbed well into the skin and you can definitely feel its effect on your skin and there is no dryness in sight. I also agree with Botanics description of it making the skin luminous because that's how my skin feels when I use it. 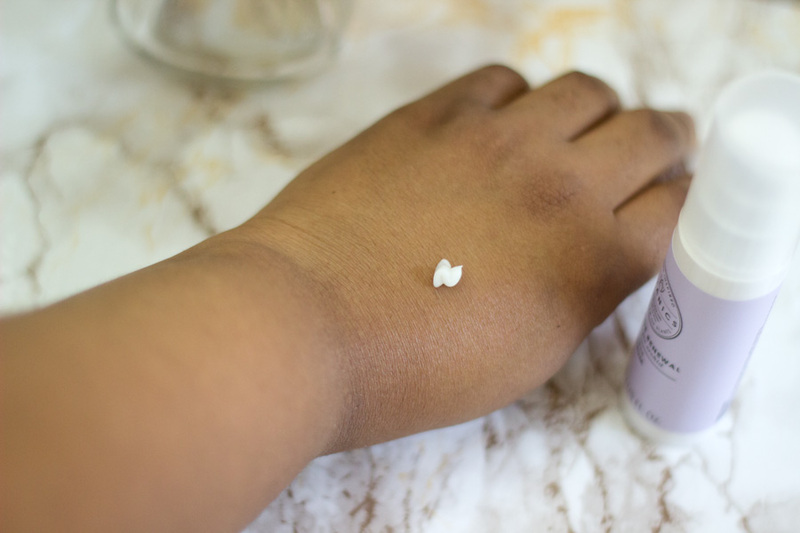 I feel this is one product that everyone, regardless of their skin type, will love. I absolutely love it and will definitely repurchase once it runs out. I was instantly attracted to this product because it was purple and you all know that's my favourite colour. As the name suggests, this product is from their Triple Age range which is designed for matured skin. 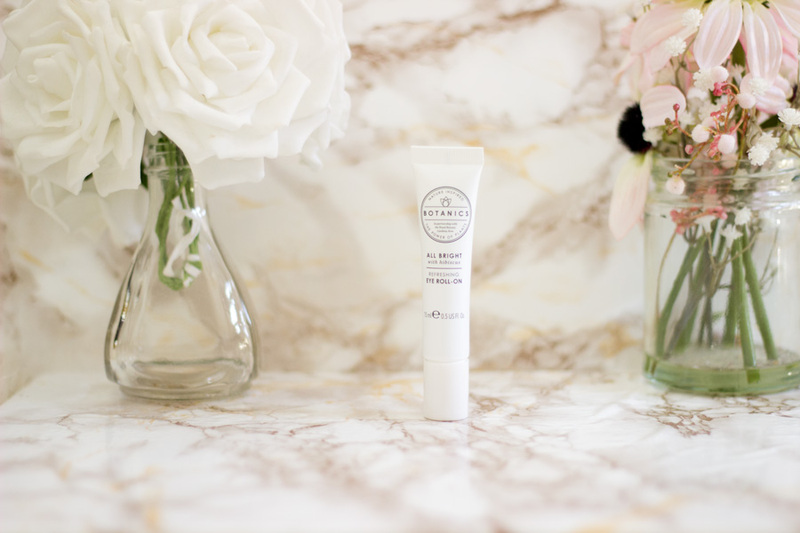 I had previously tried the Triple Age Eye Cream which was my go-to eye cream along with the All Bright Eye Roll-On. However, I don't think I got to try the serum so I was very excited to be trying it out. 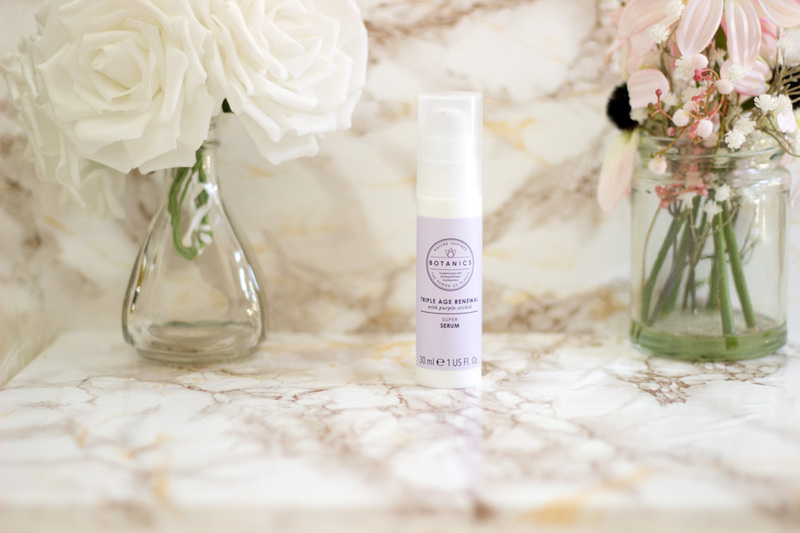 The Triple Age Renewal Facial Super Serum is designed to help hydrate, nourish the skin as well as improve the appearance of deep lines and wrinkles. 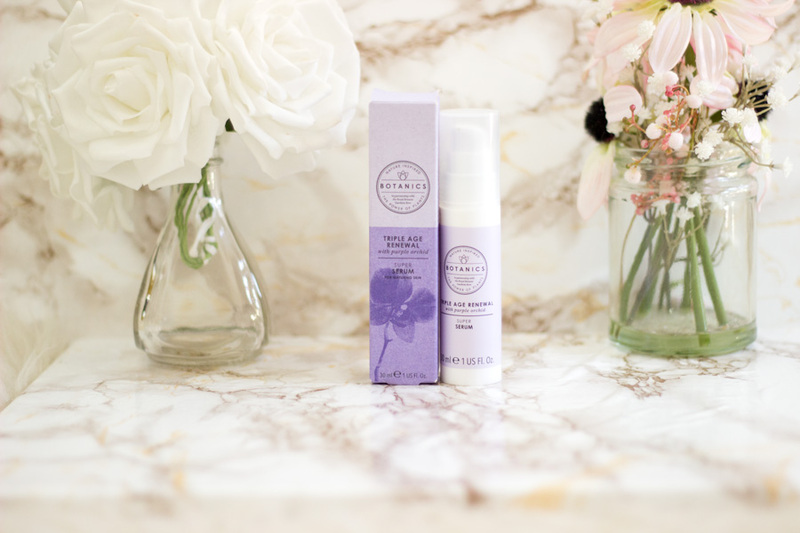 One of the main ingredients is Purple Orchid Extract which is known for plumping and renewing the skin. I really enjoyed and I am still enjoying using this serum as it keeps my skin hydrated which is important for me in this weather. I tend to use it shortly after I have cleansed and used my toner. It has a light texture (almost like a hybrid of a serum and lotion) which makes it easy to apply and suitable for all skin types. I don't have any deep wrinkles so I can't really comment on how effective it is on them. However, I think it may work over time because of its plumping actions. If you are looking out for a new hydrating serum to try at an affordable price, I'd highly recommend checking this out. I thought I had tried this product before but I realised it was the No.7 version which I equally love. 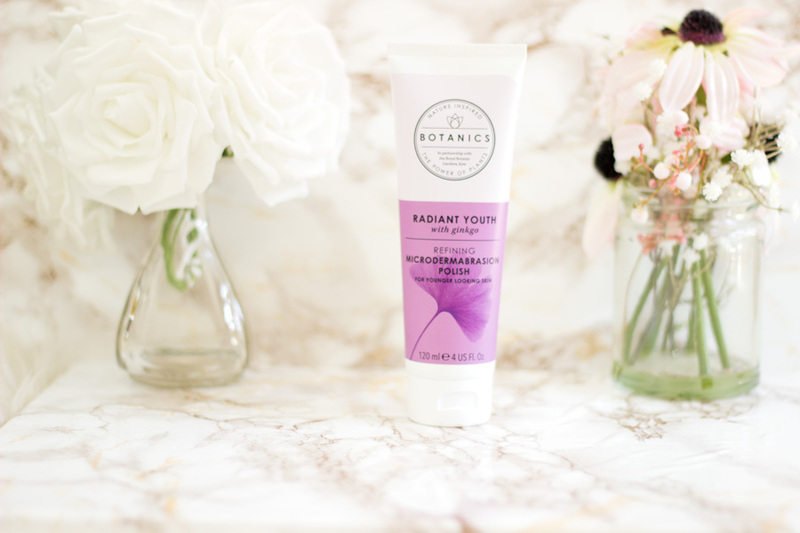 Botanics describe the Radiant Youth Refining Microdermabrasion Polish as a natural skin polishing treatment which helps boost brightness and banish dead skin cells. This polish is from their Radiant Youth range which is aimed at protecting the skin and giving a youthful glow. I remember how curious I was about microdermabrasion because I'd heard such good things about it. 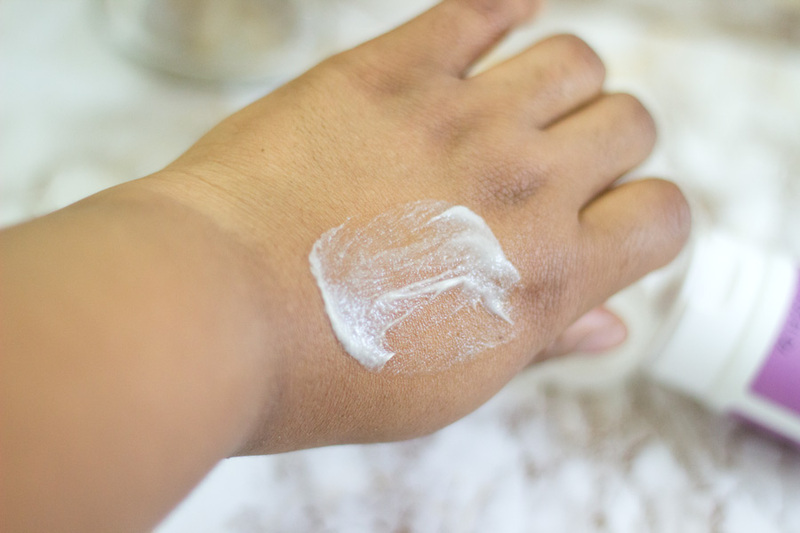 The actual process, if it is done in a beauty salon or with a dermatologist, is not cheap at all so brands started making products that could be safely used at home. This is where the Radiant Youth Refining Microdermabrasion Polish comes in. There is no need to go to the salon or dermatologist to apply it as it can be used from the comfort of your home. 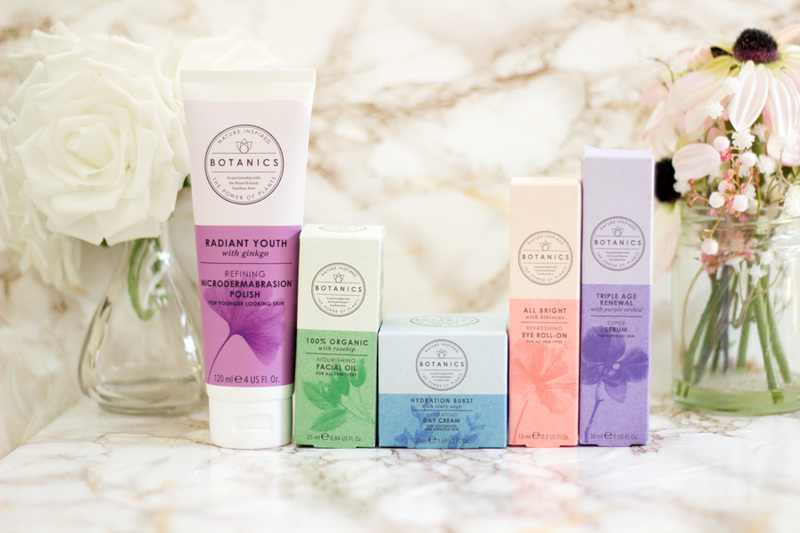 The Botanics version is formulated with two main ingredients Gingko plant extract (for a youthful skin) and Antioxidants (to help fight free radicals). It has very finely milled particles which are very undetectable with the eyes however you can feel them on the skin. It has a nice creamy texture and you may even mistake it for either a body lotion or face wash. I love that the texture is not very abrasive to the skin; it's just the right amount suitable to slough away any dead skin cells. 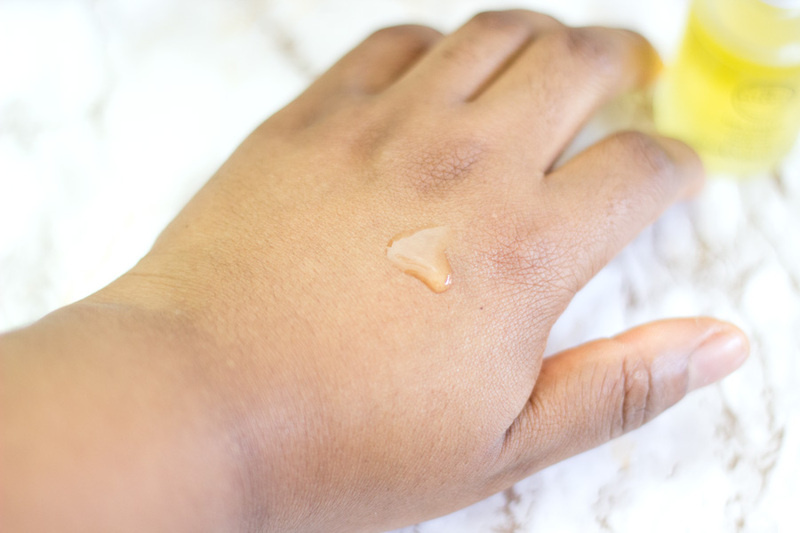 I don't think there's any need to apply pressure to the face while using it gently across the skin is the best way for me because the particles do all the exfoliating work without any additional pressure. I use it once a week on cleansed skin and massage it gently across my face. I usually focus around my cheeks, under my lower lips and around my nose because these are the areas that are problematic for me. I leave it on for a few minutes and rinse off with warm water. I have to say my skin feels really smooth especially around my nose and under my lips. Another thing I notice is how easily my foundation blends into my skin especially the first few days after I have used it. I will really highly recommend giving it a try especially if you are looking to try microdermabrasion at home. I am sure you can already guess that the only place (as far as I know) where you can purchase this range is from Boots (both online and in-store). I don't think they have a stand alone website where you can purchase directly from but Boots is very accessible and I believe they also ship to other countries. I know I have said this many times but they are very affordable especially for the quality of products you get. The best part is that Boots always have one or two offers that are so enticing. At the time of this post, they had a Buy One Get Another Half Price offer and I picked up two more products because I love the range. I was restraining myself but I know I will be back for more. I am really impressed with the entire collection and I am happy that they have maintained the quality of the range. I do think that some of the products seemed to work slightly more effective than I remember. 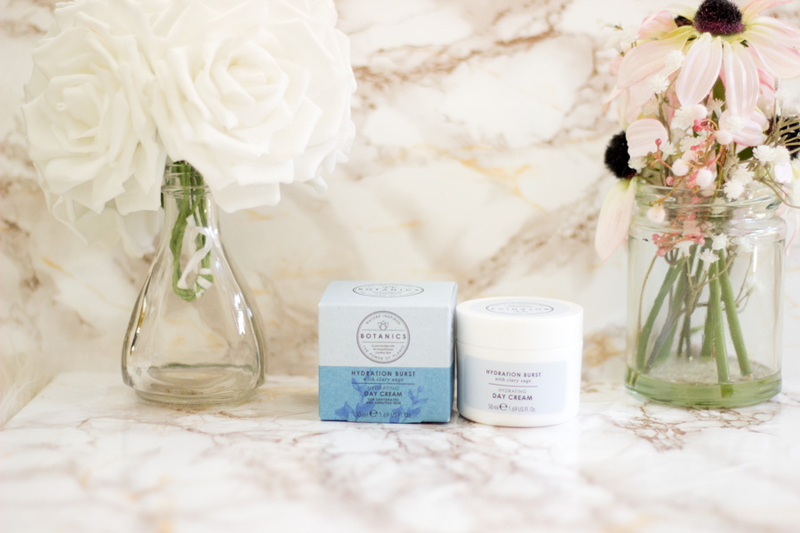 They are still one of the few plant based skincare brands that are effective and affordable. Their revamped look has made them even more attractive and I know some of my friends and beauty lovers feel the same way. 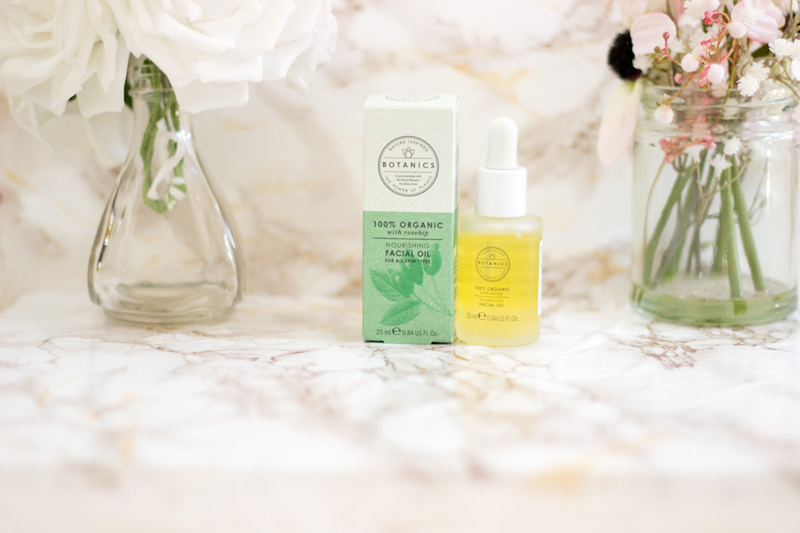 I have since purchased more from the brand including the All Bright Serum which is amazing. Hope you enjoyed this review. 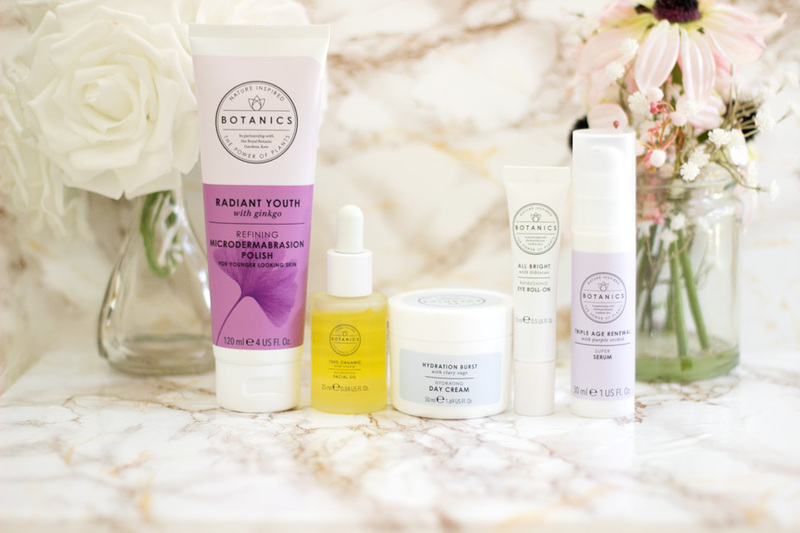 Have you tried any products from Botanics Skincare? *PR Samples, read my full disclaimer here.